There’s nothing like heading out to your favourite club with your friends and family for a delicious meal and some great conversation. It’s all about the experience, the atmosphere and indulging in some great food. But we also know how busy life can be, and that sometimes you need an easy solution for lunch or dinner that’s quick and affordable, but still tastes great. That’s when Bankstown Sports and UberEats are the perfect solution! La Piazza and Peking Sq. have joined Basement Brewhouse and San Churro to offer Sydney-siders a selection of delicious meals, delivered straight to their door. If you’re in the mood for pizza, why not try the Farnese, Campo di Fiori, Rapallo, Capricciosa, Martin Place, Verde or the BBQ Meat Lovers. Or if you’re craving a pasta, grab our Linguini Piazza, Spaghetti Bolognese, Tortellini Boscaiola, Penne Calabrese or Penne Arrabiata. If it’s Asian cuisine you’re craving, there’s a selection of entrees and mains from Peking Sq., as well as the Signature House-Roasted Peking Duck, which is roasted fresh in our own Peking Duck oven. From Basement Brewhouse, there’s a range of beef, chicken, lamb, pork and veggie burgers, all for just $19 – delivered right to your door. There’s the Chick Next Door, the Porky Pig, Zorba The Greek, The Brew Beast, the Brooklyn and more. Add in some Sweet Potato Fries, Spicy Beer Battered Fries or Potato Fries for just $10 and your day is made! And from San Churro Chocolateria at Bankstown Sports, you can order traditional churros and filled churros, hot chocolate, decadent premium shakes and coffee. 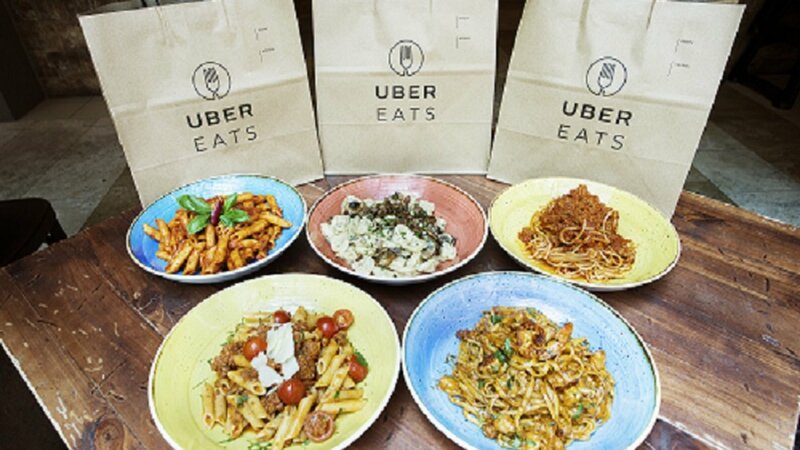 Simply download the UberEats App on your phone, search La Piazza, Basement Brewhouse or San Churro – or all three - and place your order! Our chefs will make your meal fresh and will keep it warm until it’s collected by your Uber driver for delivery to you. Try it out today!